I posted last Summer about the band Mumford and Sons who, at the time, had some good Summer jams. Their new album is due out anytime, and one of the first songs off of the new album actually has some awesome lyrics. Christina Mead posted about this over at Lifeteen.com, and you can read her full account here. Needless to say, we need more people in the mainstream entertainment industry talking about the amazing strength it takes to be chaste instead of making sexual conquest seem like the difficult path. You can read Christina's nice post by clicking here. Below is a snippet. "Can we just have a moment of silence in respect of the creative genius that wrote these lyrics and immortalized my thoughts about purity for endless generations to come? ( ……. ) Thank you. Cause I will wait, I will wait for you." "Ecclesiologies" is my least favorite word. "-ology" means the study of. "Ecclesiology" means "the study of the Church." Biology means the study of life. Physiology is the study of bodily movement. Paleontology is the study of fossils. Archaeology is the study of the past. There is no such word as "biologies." Either you study life or you don't. "Biology" is an objective reality. "You and I just see things differently in the Church because we have different ecclesiologies." The problem with the word is that it grants some kind of credibility to those who dissent from the Church. Maybe describing themselves as still "doing ecclesiology" lets dissenters sleep at night by granting an academic-sounding name to their worldview. You can't have "ecclesiologies" unless "Ecclesia" (the Church) is subjective, shifting, wavering and waffling. There is one Church. Either you study it or you make up your own idea of "church" to study, but then what you are studying is not the Church. "Biologies" is not a word. "Paleontologies" is not a word. "Archaeologies" is not a word. In fact as I type these three words, spell check is rejecting them. They aren't words. "Ecclesiologies" is not a word either. A parishioner alerted me to an interesting article in the Economist about the finances of the Catholic Church. The Economist should be credited for doing some actual research before putting pen to paper; in reading the article I didn't feel completely despondent like I normally do when I read the moronic drivel produced by periodicals like Newsweek when they open their mouths and try to talk about the Church. 1) The thesis of the article is that the finances of the Catholic Church are a mess. Early on the article notes, "the financial mismanagement and questionable business practices would have seen widespread resignations at the top of any other public institution." That made me laugh out loud given the TRILLIONS of dollars that our country spent bailing banks and corporations out where it has been reported that most of the leadership did NOT lose their jobs. 2) I also found it disturbing how easily our public discourse oscillates between sometimes considering Catholic hospitals, Catholic schools, Catholic universities, and Catholic Charities as part of the Church some of the time, and other times does NOT consider them part of the Catholic Church. In order to paint this picture of the Catholic Church as this bloated behemoth of a cash cow, the Economist talks about how the Church spent 171.6 billion last year. When you look at the break down, though, 99 billion was money spent by Catholic hospitals, 49 billion was money spent by Catholic colleges and universities, and 5 billion was spent by Catholic Charities. If you remove those from under the umbrella of the Catholic Church, which our country is trying to do right now, then the "Catholic Church" is a far smaller cash cow than the Economist would have us believe. 3) The Economist also laments that federal money (money obtained from people, and not originally the government's money) is going to Catholic hospitals, Catholic schools, and loans to students attending Catholic universities. The word they use is that the Fed is "bankrolling" the Medicare and Medicaid of patients, "bankrolling" students (through vouchers) and "bankrolling" students who attend Catholic universities through federal student loans. IS THAT THE CHURCH'S FAULT? What do they want the Church to do, to stop accepting patients who have Medicare or Medicaid or to turn away voucher students? This is a ridiculous claim. 4) Another big point of the article is worth examining: there is a real confusion, not just outside but within the Church as well, about who precisely owns Church property. According to Canon Law the Bishop of a diocese technically owns all diocesan property, but there is also a sense in which the parish owns things as well because in Canon Law each parish has rights. This question is HUGELY important in this era of lawsuits over sexual abuse. If a person sues the Archdiocese and wins, can Bishop Coyne be forced to sell my parish in Brazil to pay for the costs? In one sense the diocese owns my parish's property in Brazil, so why not? There is confusion on this question not just in the non-Catholic world, but canon lawyers themselves are trying to figure out how to translate the situation of a Bishop and parishes in Canon Law into public law as well. Fr. Stan Pondo of the Archdiocese actually just wrote his doctoral dissertation on how best to make the public situation line up with Church law, and his conclusion is that Catholic parishes ought to move towards a situation where parishes are made into corporations, a practice that the Archdiocese has put into action. The Bishop is still placed as the "CEO" of each parish, but again, how best to handle this is being discussed. 5) The article oscillates, again, between lamenting that the diocese can pool its money and then, on the other hand, wishing dioceses would do more to pool their money by leaving it in each parish. The article seems unable to decide which it wants the Church to do. The article later laments "The Church does shift between considering all assets as part of a single pool when that suits, and claiming that funds have always been separate and ring-fenced when they are exposed to claims." The thing the article doesn't seem to grasp is that in order to protect the parishes and get as much money for plaintiffs as possible isn't possible. You can either protect the parishes, or liquidate everything and give the victims all the assets of the diocese. You can't have it both ways. 6) The article also gets wrong the idea that dioceses can close a parish and can transfer the assets to the diocese. Dioceses have been specifically forbidden from doing that by Rome. The assets of a closed parish can only go to the parish that is merged with the closing parish. 7) Surely the article jests when it notes that prosecutors fear prosecuting the Church for fear of political consequences. The fastest way to get reelected right now would be to prosecute the Church. 8) The article notes that if lawsuits against the Church continue, then schools might have to close, thus "putting taxpayers on the hook" because they would suddenly have to foot the bill for more students into public schools (Catholic schools save the public 9 billion a year in taxes because of the kids who aren't in the public school system). So whereas earlier in the article, the fact that the government helps subsidize some students is lamented, here it is lamented if Catholic schools were to close? Dear Economist, on most of these issues you need to do something next time you write about this stuff - make up your mind on what you want the Church to do, and stick with it. Awesome priest out of Phoenix, Fr. John Muir, lets a camera tag along for a day! A Day In The Life from Derek Natzke on Vimeo. Caleb Glaser Speaks with Msgr Moran about the Death of Andrew Moore from John Hollowell on Vimeo. Jesus: "Do You Also Want to Leave?" As St. John Chrysostom so eloquently notes, NOTHING worldly can account for the transformation in the Apostles from the cowardly, confused, bumbling men before Christ's death, to the warriors they became after Pentecost. "How then account for the fact that these men, who in Christ's lifetime did not stand up to the attacks by the Jews, set forth to do battle with the whole world once Christ was dead - if, as you claim, Christ did not rise and speak to them and rouse their courage? Did they perhaps say to themselves: "He could not save himself but he will protect us? He did not help himself when he was alive, but now that he is dead he will extend a helping hand to us? In his lifetime he brought no nation under his banner, but by uttering his name we will win over the whole world?" Would it not be wholly irrational even to think such thoughts, much less to act upon them? 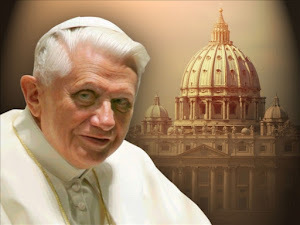 It is evident, then that if they had not seen him risen and had proof of his power, they would not have risked so much." With Fr. Rutler's assessment of the two types of anger on my mind this morning (see previous post) I couldn't help but read the readings for Mass today and not think of two types of "wisdom" - good wisdom and its imposter. "You may think yourself like a god. Oh yes, you are wiser than Daniel, there is no secret that is beyond you." This imposter sort of wisdom, the delusion that "no secret is beyond me - I see the whole picture" was sharply contrasted with the opening prayer from Mass today - "O God, who to safeguard the Catholic Faith and to restore all things in Christ, filled Pope Saint Pius the Tenth with heavenly wisdom..."
This false wisdom, the belief that a person knows both sides of a story is absolutely the Devil's best weapon. An example from my own priesthood: I have vestments made of nice material. I've heard through the grapevine, throughout my priesthood, that some people say things like "oh, he has nice vestments because he thinks it is all about him, and he's better than Fr. so and so and he is pretentious and doesn't care for the poor and probably sits around drinking expensive scotch and eating ribeye all day." 1) did you know that my vestments are no more expensive than most of the vestments made out of burlap with polyester hand prints and all the other crazy vestments out there? Did you know that mine are actually just as cheap? 2) did you know that my windshield in my car is cracked and my shocks are going bad and that I'm not really into material possessions? 3) did you know that my whole reasoning is that I think it is important to surround the Mass with beautiful things, and the easiest thing for me to start with is what I wear to Mass? If someone asked me, I could tell them the other side of the story...but they didn't ask. I used to think that gossip and rumor-spreading was only an activity that was pervasive among high school girls. I played football in high school, football in college, and then coached football and taught for two years after that. For about ten years of my young adult life, I lived in an environment where everything was out in the open, and if you had a problem with a guy, you talked it out, and maybe you got in a fight, but you talked it out and moved on. Entering the seminary, and now being in parish life for the past four years, I realized that in fact gossip and rumor-spreading is not something that is an epidemic solely on high school cheerleading squads. It is also very much a problem among adults. "I wonder if the reason for (the thing I'm spreading a rumor about) is ________" quickly turns into "I KNOW the reason for the thing I'm spreading a rumor about is _________"
It is a dangerous business thinking that we see all things, it is a dangerous business thinking we are gods, which is precisely why the Devil encourages such behavior among us. "I do not know which is worse: sinful anger, which thinks that it is just, or timidity, which thinks that it is charitable." "Righteous anger is like harnessed wind power, while sinful anger is, to use an infelicitous metaphor, just passing wind." "At least they were vital enough to be angry. We now inhabit a hedonistic culture too slothful to be angry about much of anything, which is why it is easily bought off by sensual gratifications of the crudest sorts"
"The cure for both kinds of sinfulness, angry and timid, is the virtue of courage." Click here to read the rest of Fr. Rutler's article. It is very well done, and I hope explains a lot of what I do on this blog. I guess I won't know for sure until the judgment, but I hope and pray that it sums up what I try to do here. This morning, hanging out in Indianapolis drinking some coffee and reading the newspaper, I was reminded why it was more relaxing to be in Seelyville and Brazil - I don't get the Indianapolis Star out west! This morning the Star has a column from Froma Harrop titled "Failures of Conservative Moralizing." Her thesis: conservatives love to blame the sexual revolution for all the problems of today. The irony is that in her article she illustrates precisely the myopia that people who don't rejoice in the sexual revolution are always warning liberals about. Harrop, in the crescendo of her piece, notes, "women giving birth out of wedlock are obviously not taking the pill. The pill prevents pregnancies rather than causes them." WHAT? Has Harrop looked at any of the statistics on contraceptive failure rates? She illustrates the precise point that moral conservatives continue to point to; she demonstrates a complete inability to comprehend the connection between child births and the pill. The pill has a FAILURE RATE. Condoms have a FAILURE RATE. To arrogantly assert that no pregnancy could ever come about when a woman was on the pill ("OBVIOUSLY" to use Harrop's phrase) doesn't prove "moral conservatives" wrong, it only reinforces our point. The pill doesn't reduce "unwanted" pregnancies, it gives people the false promise of doing so, and when it fails, people are shocked and don't know how it happened because seemingly intelligent people continue to peddle the lie that "Obviously a pregnancy could never result when a woman is on the pill." How sad. The Assumption? Where's that in the Bible? Is the Bread a Symbol of Jesus? Is it just a Metaphor? A warp speed version if you have some family or friends who might want to listen but don't have 12 minutes. Paul Ryan is a Catholic...in politics...in good standing with his bishop...bet you didn't think anyone in politics fit that mold! We're going to hear a lot of distortion coming from people trying to say basically this: "Paul Ryan is for slashing the budget and hurting poor people, Joe Biden, Nancy Pelosi, Kathleen Sebelius, etc. are for late-term abortions, they're both equally bad Catholics." That is a horrible argument, and a decidedly non-Catholic argument. When Rep. Ryan released a budget plan a year or so ago that would attempt to reel our country's debt back in, he was lambasted by professors at Georgetown for violating Catholic Social Teaching because the budget was spun to be tough on the poor, and some programs obviously were cut that have traditionally been in place. That's what happens when you cut a budget down. A famous phrase in companies and politics is "a budget is a moral statement", which means a budget reflects what you value. Well, if a budget continues to be 2 trillion dollars off every year, what does that say other than "we think, as a country, that we can spend without consequences." That is also a violation of Church teaching. If the U.S. is spending 2 trillion more than it has EVERY YEAR, then the person who comes up with a plan to trim that down is obviously going to have to cut some things out. Can we really fault the trimmer? No...the problem was the person who set the program up in the first place and didn't figure out how to pay for it. Of course Ryan is going to look bad, any person who is going to try to save our country financially will have to cut some programs for the poor, etc. This brings up two things I've been saying on here for years - the Church actually says, in it's Catholic Social Teaching document, that it is only for TEMPORARY WELFARE, not permanent (click here and here to read those posts). All the Georgetown profs might want to dust off their copy of the Catholic Social Teaching. I've written many times about how only people who have read the Compendium of Catholic Social Teaching ought to be able to comment on Catholic Social Teaching (click here for the post where I encourage only allowing people who have been licensed in Catholic Social Teaching to speak on it). Here is Rep. Ryan talking about his budget. It is quite clear that his budget actually can be explained in light of Catholic Social Teaching. Here is a guy who understands Catholic Social Teaching. It is also quite clear to any reasonable Catholic that trimming certain programs in our government is not the same as supporting partial birth abortion. Paul Ryan speech at Georgetown University from David Morse on Vimeo. So, I've been pouring over Canon Law and studying up on the issues that my parishioners are struggling with, and I feel like I've learned a lot that might be helpful for parishes/priests in the same situation, specifically when it is announced that a parish is slated to be "closed"
Please know here that the Archdiocese has very competent administrators, and competent canon lawyers, and competent civil lawyers, so I don't have to execute any of the closing process, I am simply educating myself because parishioners are asking me questions, specifically the question: "Father, if we appeal, do we have a shot; do you think we'll win?" 1) A parish, if "closed", must in fact be what is known as "suppressed". This is defined by a Canon lawyer I found as "making a parish go out of existence." 2) When a parish is suppressed, the Church and property then go to the parish that is the receiving parish. The diocese can take the further step in a "closing" by not just suppressing a parish but also "reducing the Church to profane use" - otherwise known as "saying it is okay to sell the Church building." Important to note here that these are two SEPARATE actions. More on that in a minute. So, when you hear that a Church is slated for "closing" it likely means that the diocese will both suppress the parish and also reduce the Church to profane use so it can be sold. First of all, every canon lawyer that I've come across, even those who advocate for parishes fighting to remain open, has noted that suppressions don't get reversed. Peter Borre, a person who worked with "closed" parishes in Boston, even notes that "In reviewing rulings by the Apostolic Signatura, the Vatican’s Supreme Court, his lawyers found only one U.S. case where a parish suppression had been reversed, though only on procedural grounds." (click here for the article). Another article from the National Catholic Reporter (never to be confused as a paper supporting the bishops) even noted in an article in 2010, that a Vatican ruling shows that Canon 515 gives bishops complete freedom to suppress any parish the bishop feels need to be suppressed. The only requirement is that he hear the Council of Priests on the suppression first, but even if the Council of Priests is opposed, the bishop can still choose to suppress. (click here for the article on Canon 515). The second action, the relegating of the Church to profane use so that it can be sold, is one that has been in the news recently. Several parishes, most notably 13 parishes in Cleveland, had "their churches reopened" by the Vatican. Here it is important to decipher what this means. All that the Vatican said, is that there were serious procedural errors made by the diocese in choosing to "relegate the Church to profane use." In reading through the actual decree from Rome, it sounds like the Bishop of Cleveland really botched the procedure. It seems like the equivalent of a Law and Order episode where a lawyer made serious errors in filing paperwork that cost the lawyer the case. The biggest error it seems the Cleveland diocese made was assuming that the "decision to suppress the parish" de facto also relegated the Church to profane use, when in fact it is quite clear from even my simple research that Canon Law mandates that those be two separate acts. What follows from this is that because a procedural error occurred, the Church building was not suppressed and so it was opened back up by the Vatican. However, when the literal doors of the Church are ruled to be opened back up, the parishes are still suppressed, and, if the bishop so chooses, he can simply fix the procedural error and submit new paperwork to "relegate the Church to profane use." An example: let's say the Archdiocese suppresses my home parish Nativity, and makes my parish a part of Holy Name Parish. Let's say, however, that the Archdiocese botches the procedure to actually "relegate the church to profane use" so it can be sold. The Vatican overturns the Archdiocese's decision to "relegate the Church to profane use" so the Church is unlocked again. Let's look, though, at all the things that don't happen when the Church is "reopened" - Nativity's Church building is still Holy Name's because Nativity isn't a parish anymore. Nativity doesn't technically have to have any Masses there all year, but Holy Name's priest might decide to have Mass out there on the parish's feast day or something quite infrequent, and Holy Name likely would not be too pleased to inherit a bunch of Church buildings from Nativity that Holy Name is now charged with maintaining, and also that Holy Name can't sell because the Nativity parishioners asked to have the "relegation to profane use" blocked - the point being even though "Nativity Church is reopened"
So here is my honest assessment to the question "does a parish have a shot in overturning a "closing"" - I would ask "what do you (as the asker of the question) think is the best case scenario here?" Yes, there have been some recent cases where a diocese botched the procedure for closing the actual doors to the Church building, but a parish suppression just simply doesn't get overturned. My honest answer after researching everything I've been able to get my hands on is that if a parish is slated by a diocese for "closing" the suppression of that parish is a done deal, and as long as the diocese crosses their t's and dots their i's, the church building being "closed" will also be a foregone conclusion, and even if the diocese drops the ball, they can just go back, dot the i's and cross the t's properly, and file the paperwork again. In addition to the articles above (and many others I've read), a Canon Lawyer, Fr. Jason Gray, has written a VERY helpful doctoral thesis titled "Some Canonical Aspects of the Closing and Sale of a Parish Church" which you can find on the internet. If you are interested in leafing through this very concise and helpful document, click here. I found it to be a very fair and unbiased and scholarly paper, which was also very easy to navigate. This is a relevant topic now, and it will be certainly in our Archdiocese in the years to come as the Archdiocese continues it's examination of how the Church currently finds itself structurally in each of its deaneries. The next phase sees the process kick off in Indianapolis, and it appears that all four deaneries will examine their infrastructure at one time given the interconnectedness of so many of the parishes in the Indianapolis area. While some are clearly opposed to the process of examining how we are structured, and looking at ways to share ministries and realign ourselves to be more properly structured going into the future, I am a big believer in the process and don't believe it is being done solely because of priest numbers but because good stewards should always be looking at how resources are being used, and good stewards are always looking to see if there are ways to more effectively use the limited resources God has given us. 1) What happens to the parish's history? The parish closed sends all of its sacramental records and so forth to a "receiving parish" - a parish that the parishioners and the diocese together have chosen as the most logical neighboring parish. The parish boundaries of the parish that is closed may be redrawn among several parishes, or the parish boundaries may simply completely pass over into the care of a single neighboring Church. 2) What happens to the parish's financial assets/debts? The parish's financial assets or debts are assumed by the receiving parish. The assets used to pass to the diocese, but in 2006 Rome issued a ruling that says that all of the assets must go to the receiving parish. This was to keep dioceses from simply choosing to sell off lots of property to raise money for itself. A pastorally sensitive thing that the Archdiocese of Indy is trying out with Holy Rosary is to also offer to split up the assets and divvy them out percentage-wise to all of the parishes that people will choose to land. The difficulty is that some parishioners don't know where they will land just yet, but the idea is that we survey every parish family and ask them to choose which of the neighboring parishes they would like to go to. If 15% say they are going to go to parish A, and 60% say they are going to parish B, then parish A would receive 15% of the assets, and parish B would receive 60% of the assets. This could prevent a fight over "where all the money is going" because instead of a lump sum of assets and property going to one parish, it would be divvied up more justly. 3) What happens to a parish's buildings? The receiving parish is now the owner of the property (although the Archbishop technically owns all the land and buildings in the Archdiocese), and the receiving parish is usually tasked with selling off the buildings if they were closed, or maintaining the buildings if they are not closed. It can be a financial burden in the short term for a receiving parish to assume maintenance and bills from another campus, but I would imagine the diocese would typically help if it became burdensome to the receiving parish. 4) Where do the parishioners go? While Canon Law states that we all are to go to the Church whose parish boundaries we live within, does anyone pay attention to that anymore? I think especially in the time of a closing, it would really be up to the parishioners to land wherever they felt comfortable. I think given all of the attacks on the Church from the outside world, the bishops have (I think rightly) chosen to make the parish boundary issue one not worth worrying about. Cardinal Dolan Invites President Obama to New York Catholic Charities Dinner? In a move that has been receiving voluminous coverage on the blogosphere, last week it was announced that President Obama received an invitation to attend and I believe to speak at the New York Catholic Charities annual fund raiser. Many are of course up in arms with Cardinal Dolan, and I personally wondered why Cardinal Dolan wasn't a little louder during the New York redefinition of marriage last year (but I also know I don't see the whole picture). "Mr. President, this Catholic Charities of New York organization that you are here to support...if you keep the HHS Mandate in place, then in 6 months it won't exist anymore." If I were Cardinal Dolan (and what follows tells you why I'm not) I would say the above line, and then just drop the mic and walk off stage. It should be VERY interesting to see how it all plays out, but I personally think it has a lot of positive potential to go much better for the Church then some are predicting right now on the blogosphere. The Israelites hated transition, and so do we, because it is hard. An important question to ask is this, "what will be our Northern Star amidst the disorientation?" Just as soon as I blog a bit about what is going on at Holy Rosary in Seelyville with the scheduled closing and appeal, a person stopped by and informed me that the appeal of the closing is on the front page of the Terre Haute newspaper. Click here to read the story. The only thing I didn't like was the description of the process as a fight. One of the parishes that I have been assigned to as a priest was selected (way before I arrived) to close in October. Some of the parishioners have been raising money for a planned appeal, which, as Canon Law notes, the parishioners have every right to do. The parish has been very kind to me and it has not been adversarial in nature whatsoever, for which I am very grateful. Obviously, there is a lot of pain and hurt over being selected to close, and I wonder if it doesn't go back to a theme that has been in Catholic thought for at least my lifetime, and probably going back into the 70's as well, but I wasn't around so I don't know for sure. The root of this frustration likely stems from a phrase that has dominated Catholic discourse in our country for decades - the theme that "it's all about community". I have heard that "it's all about community" in homilies my entire life. I've read "it's all about community" in all kinds of Catholic literature and newspapers. I've heard in Catholic schools that "it's all about community." That "theology" has infused itself into every form of Catholic discourse. The problem with saying "it's all about community" (as most readers of this blog surely know) is that it isn't ALL about community. It's about the Eucharist and the sacraments, it is about care for the poor and marginalized, it is about the corporal and spiritual works of mercy, it is about prayer, it is about Apostolic Succession going back to Saint Peter, it is about conversion, it is about penance and fasting, it is about love, it's about papal infallibility, it's about the universal Church, it is about the Blessed Mother, it is about the Mass...the list could go on indefinitely. 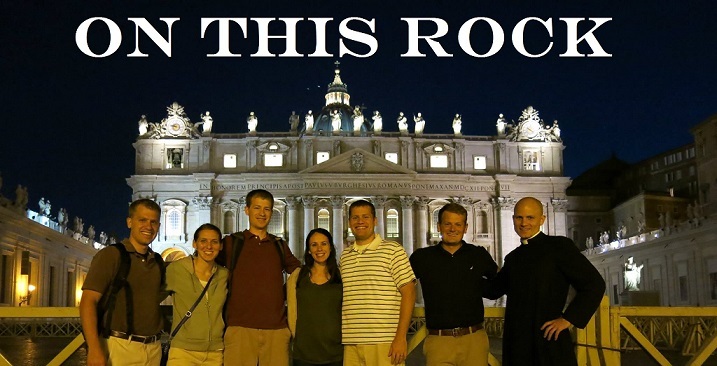 Is "community" a VERY important thing in the Catholic Church? Absolutely. However, as with all things, a little more moderation in using the phrase, a little more balanced preaching over the past few decades, a few more homilies on the nature of the Church and who a bishop is, a few more homilies on the Eucharist (and not just saying that "the Eucharist is community"), a little more balance might have helped people more easily come to grips with a parish community being closed. My home parish of Nativity is where I spent most of my life. I went to school there. Some of my best friends still to this day were classmates back in the day and are now raising their kids and sending them to Nativity. My brothers and sisters were baptized there. I used to read at Mass and serve there. I went to coffee and donuts every Sunday if Dad let us. I played sports there, at least a few years ago I knew everyone in the parish. I had my first Mass there as a priest. Nativity is about as tight-knit a community as you'll ever find. And yet if word came down that Nativity were to be closed at some point in the future, I would be EXTREMELY sad, but I wouldn't be upset at the Church or the Bishop. I would stay Catholic and I would mourn the end of an era with my fellow parishioners. But I think that my relative ease with a decision like that would come from the fact that I have been blessed to hear from other places that while community is great, Church is about more than community. But as it is, we can't be surprised when, after people have been hearing it's ALL about community for so long, that people would be upset when the community is threatened to be merged with another parish and a community made to change or adapt. As the famous phrase goes, "ideas have consequences", and so spreading the idea far and wide for the last 40 years that it is "all about community", when it ought to be quite clear to any priest who has had the chance to learn the faith and is asked to care for people, that saying it is "all about community" has consequences that are playing out in the lives of people whom I care for right now, and very sadly, for some, it may even lead to them leaving the Faith as a whole. I don't think anyone would leave the Catholic Church if they had been taught what the Faith is as an entirety, but when the vast majority of what has been preached for a long time in our Catholic Church is NOT the whole picture, then I guess when that faulty vision of Church abruptly comes to a halt, there is always going to be serious repercussions. Please pray for me during this time that I may be a good and holy shepherd of souls through this difficult process, and please pray for all of my parishioners who are a bunch of good and holy people who have been disoriented and are still trying to figure out how to move forward through difficult and trying times.